or transitioning from supportive, cushioned footwear to minimal/barefoot options. For further information and advice on Running Injuries and Run Coaching, please go to Therapy Services. For those who don’t cover high mileage, this may not feel so restrictive. If you regularly run, for example 10km/6m, try to adjust your concept of running for at least the next 4 weeks. It lowers frustration levels if you see this activity for what it is – calf conditioning – rather than your exercise fix. Do more of some other sport to avoid lowering fitness levels as you go through the process. If you are new to running, your mileage will naturally be very low initially and your calf conditioning will occur simultaneously. If you are new to minimalist footwear, precede running in them and the calf-conditioning journey with at least a fortnight of wearing your ‘barefoot shoes’ as often as you can. And take your shoes off more often! If you’re unable to wear them for an active period of every day, make this ‘non running’ wait longer. You need this time to wake up those muscles in the foot and lower leg that are practically dormant when moving ‘shod’ in traditional footwear. Recent research has shown that only 2 out of 34 muscles in your feet are working to their capacity in stable shoes. An easy way of putting it all into perspective is to think about being ‘skin fit’. In the initial stages, could you run the distance you’re attempting with nothing on your feet? If we just removed our shoes altogether, the fragility of our skin would limit the distances we asked our feet to cover, and we’d listen out of self-preservation! A protective, man-made, thick skin is a wonderful thing, but don’t let it lull you into a false sense of distance/speed ability at the beginning of your natural running journey. There is now audio coaching available on either iTunes or, more cheaply from the Barefoot Audio, to encourage safe, skilled and efficient running. 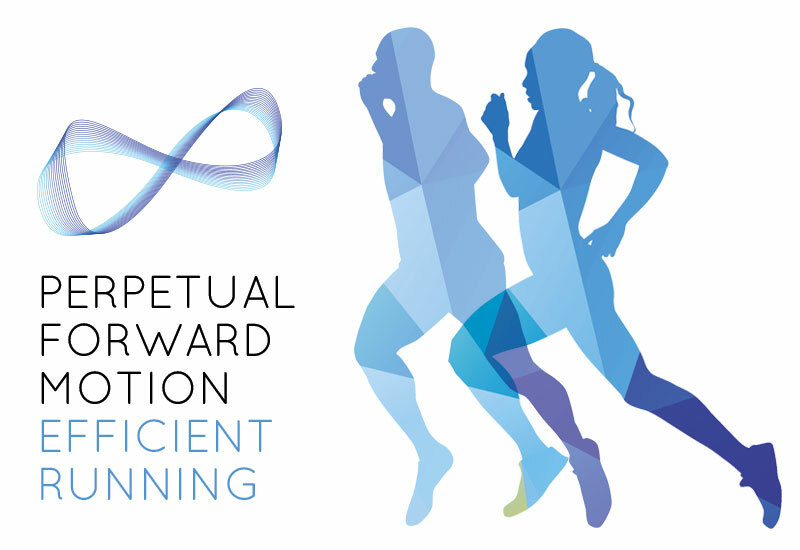 We have composed music at just the right beat to instill faster running cadences, with step-by-step progressive coaching, the combination designed to create an innovative tool to progress your running steadily and effectively. During your transition, swap stretching your calves, for ‘rolling’, mauling or massaging your calves – before and after your transition runs. You don’t have X-ray vision, and you simply can’t be sure when a stretch goes from ‘easing out’ tight muscles, to pulling a little too much, creating a micro-tear. Minimize risks. For this reason, many people stick with the self-massage in lieu of prescriptive stretching even after the transition. Intuitive stretching however, should remain as it is implied, an instinctive part of your everyday life based on your sensory feedback loop. It is VERY IMPORTANT to focus not just on good technique, but also good care of your running tools … your legs. Generally speaking, your calves are what need most attention, as they are smaller than the thigh muscles, are weight bearing and get an eccentric workout to boot. Eccentric muscle loading (when the working muscle stretches under load) is the activity most responsible for Delayed Onset Muscle Soreness, or DOMS – you know, the one that feels bad the next day, even worse the day after and often not easing until the 3rd or 4th day. There is no eccentric loading of the calves with a heel-strike, so it’s the change of action of the calf muscle that can cause them to complain initially. You aren’t asking the calves to do anything other than what they are pre-programmed to do – you just probably haven’t asked them to do it repetitively until now. Choose an on-road route that’s fairly flat to give you the best opportunity to focus on technique. Pre-run: prepare your calves with some form of gentle massage – using other body parts (eg, opposite knee cap strokes down calf muscle), a rolling pin or a foam roller. This is called ‘Myofascial Release’ (MR) and loosens the tight muscle fibres in preparation for use. Your first ‘run’ should be very short. No more than a mile! You may be glad you have taken this advice the next morning, when you find the tightness in your calf muscles makes it tricky to get your heel down on the floor when you get out of bed first thing! If you CAN walk normally the next day from the minute you get out of bed, PLAY SAFE – there is a chance you were still heel striking! On your next run, you need to re-focus on a shorter stride, a higher cadence, being more upright with soft, relaxed, quiet feet. Some people even have to go as far as to think of landing just behind the joint of the little toe. Post-run: more myofascial Release (MR), in lieu of stretching. Do not repeat your calf-conditioning mile again until you can ‘roll’ or massage your calves without wincing. Once you can put your heels straight down on the floor when initially rising the morning after a run (with the caveat of point 6), you are ready to increase the mileage. On that day, do 2 ‘blocks’! Repeat the above sequence for distances of 2, 3 then 4 miles. This will probably take somewhere between 4 and 6 weeks. But we must emphasize that these are guidelines only – you should act on what you FEEL rather than just follow a programme. For some, when the mileage is upped from 3 to 4, there is no DOMS the next day, or the day after. CONGRATULATIONS! You have instigated the initial soft tissue adaptation necessary for optimised calf-conditioning. Increasing your mileage from here is then down to your usual training rules. If you do suffer DOMS when you increase from 3 to 4 miles, it simply means your calves need more conditioning time. Stay at 4 miles for a few more runs before you try and add any more distance – perhaps even try adding only a ½ mile. There are no rules – everyone is different, and you’ll know when your calves are happy to the necessary work repetitively. I firmly believe that most age-group athletes ignore their bodies and if uninjured, are often only there by default. Minimize your potential for injury by caring for those areas of your body doing the hard work, not just during this transition, but as a matter of habit. Rest isn’t enough. Get hands on! For further information and advice on Efficient Running, Running Injuries and Run Coaching, please go to Therapy Services.